Filipino legend Manny Pacquiao 59-7-2 (38) still has what it takes to knockout WBA “regular” welterweight titleholder Lucas Matthysse 39-4-(36) when the two meet at Axiata Arena in Kuala Lumpur, Malaysia this Sunday despite being almost a decade removed from his last KO victory. That’s the view of former assistant coach Marvin Somodio, who worked with Pacquiao alongside former head coach Freddie Roach to get the southpaw dynamo ready for many of his previous fights. “Matthysse has power in both hands,” Somodio said to the Philippine Star of the 35-year-old Argentine champion. “He likes it when you stand in front of him or when you’re on the ropes or in the corner. There is an old saying in boxing that the first thing to leave an ageing fighter is their speed and the last thing is their power. Curiously with the 39-year-old Pacquiao, that seems to be in reverse. The last time Pacquiao scored a knockout was in 2009 against a still close-to-prime Miguel Cotto, then 29, in a bout for the WBO welterweight and the WBC “Diamond” belts contested at a weight of 145-pounds. Cotto was on the canvas in the third and fourth stanzas before being stopped on his feet in the 12th and final round. 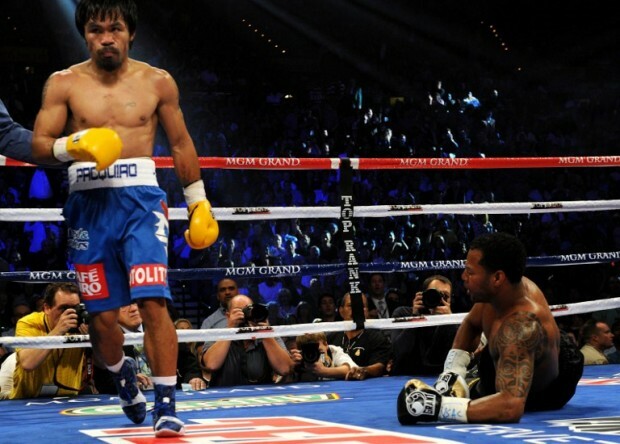 It was Pacquiao’s second fight above the junior welterweight limit after defeating Oscar De La Hoya in his first welterweight contest a year earlier. Pacquiao was just 30-years-old at the time. The key, according to Somodio, is to use his speed to make the titleholder miss and pile on the pressure in the later rounds when he is susceptible both mentally and physically. “What I’ve noticed is that Matthysse gets frustrated when he misses,” he said. The ace in pack for Matthysse is his coach Joel Diaz, who is not only an experienced trainer and fighter but has also been in the opposite corner to Pacquiao in two previous bouts. “Joel is one of the best trainers in the world and has worked in two of Timothy Bradley’s fights against Manny,” said Somodio. “His experience can help Matthysse adjust and be a better fighter.